You’ve never had trouble with being the life of the party. In fact people tend to gather around you at any gathering. You really like the attention. The way the ladies always make their way over to you, brushing your arm. The way the guys laugh at your jokes. You have noticed though that one other thing seems to get more attention from the party goers. One thing seems to be the center of everyone’s attention. The people who just arrived head right to it. The people who have been there a while meander to it throughout the evening. You aren’t jealous. You are just acknowledging the facts. The keg is always the center of attention. 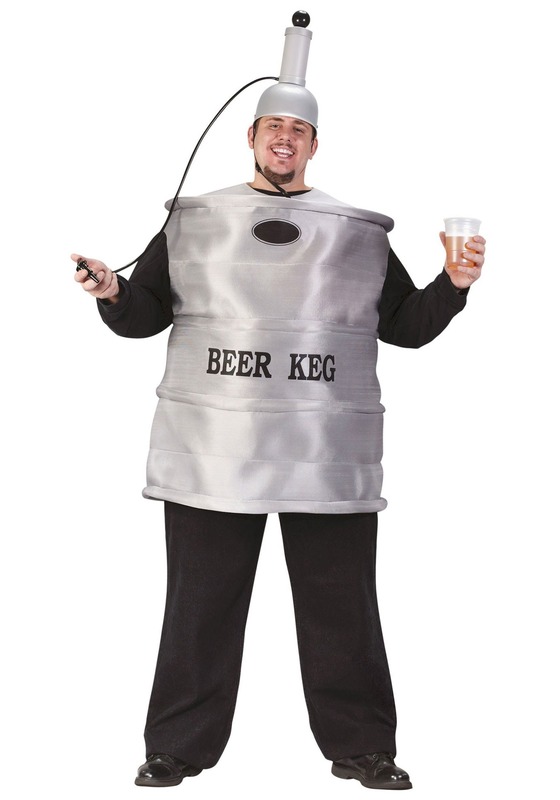 That’s why at the costume party your best bud is throwing you are going to wear this Plus Size Beer Keg Costume. That way even more people will come to say hello to the most interesting person in the room. You’ll have all your normal friends hanging out, plus everyone who shows up, and all those party-goers looking for a keg-of-a-time. Now if only you could figure out how to get beer to come out of the silvery costume, then you really would be the only place people would congregate. An intricate tube, and pumping system may work, or a Camelbak filled with that liquid gold. Party on beer man!